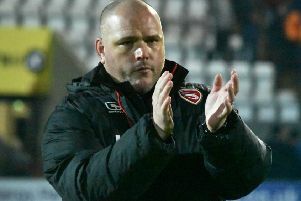 Jim Bentley has been handed a triple boost ahead of Morecambe’s trip to Macclesfield Town tomorrow. Ritchie Sutton has returned after missing two games for family reasons, while Vadaine Oliver and Andrew Tutte are back in full training. Lamin Jagne and A-Jay Leitch-Smith have also stepped up their rehabilitation work following their long-term injuries. Watch as Bentley outlines the latest injury news among the Shrimps’ squad.